Auditors PwC studied eight Scottish cities and towns in 2018 and discovered there were 265 closures across the country. This was offset by 146 new store openings – meaning that nationally the net loss of shops was actually at its lowest level for six years. But in Aberdeen, only now pulling free of the oil and gas downturn, while 15 new shops opened, there were 42 closures, representing a net loss of 27. 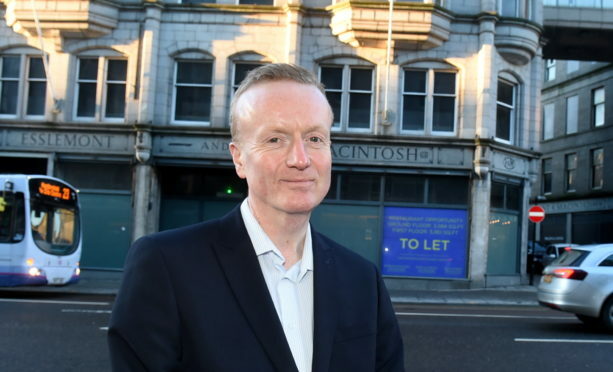 Aberdeen Inspired chief executive Adrian Watson said the ambitious 25-year City Centre Masterplan aimed to inject new life into the area. He said: “Sadly shops are closing down around the country, and in all major cities, and I think we now need to re-think our vision of a traditional high street. “It is a fast changing retail world, with big names collapsing now in months rather than years. “But at least we have a vision with the masterplan and we have seen signs of what we can expect with more office developments, more leisure facilities and eateries like Miller and Carter taking up space in the old E&M. Miller and Carter on Union Street in Aberdeen. Mr Watson added: “We also have to make it easy for people to come into the city. “In the north-east, a lot of these visits are made by car, so we need to make it simple for people to park and provide affordable rates. Across the UK, the struggling retail sector has been hit hard in recent years by challenges including a huge rise in online shopping. Big names like British Home Stores (BHS), House of Fraser, Maplin and ToysRUs have all gone under. And Granite City retailers have not escaped the pinch, with the flagship Union Street BHS closing and uncertainly lingering over the future of Debenhams, while a number of the city’s shop units are empty. But there have also been success stories, with George Street stalwarts Finnies the Jewellers announcing ambitious expansion plans at the end of 2017. Food success story Melt has unveiled plans to bring its cheese and toastie menu to a second branch, featuring tables, in Belmont Street. And there are major, albeit contentious plans for Union Square and the BHS/Aberdeen Market buildings that show major developers have confidence in the city. Permission has already been granted for a £200 million expansion of the shopping centre’s retail, leisure, restaurant and pub offering. Developers Patrizia, meanwhile, intend to replace the ageing if beloved by many market with a nine-storey copper, glass and granite tower in the hope of regenerating the area. A separate scheme will soon be brought forward for the former BHS shop front on Union Street. Neither scheme is without its opponents, with some questioning the impact they will have on The Green and on the city’s famous shopping street itself. Property investor Charlie Ferrari, of CAF Properties, is behind plans to convert the city’s Woolmanhill Hospital into a luxury hotel – becoming a new sister hotel for The Scotsman in Edinburgh – serviced flats and more than 40 homes. That development is expected to take around three years to complete. 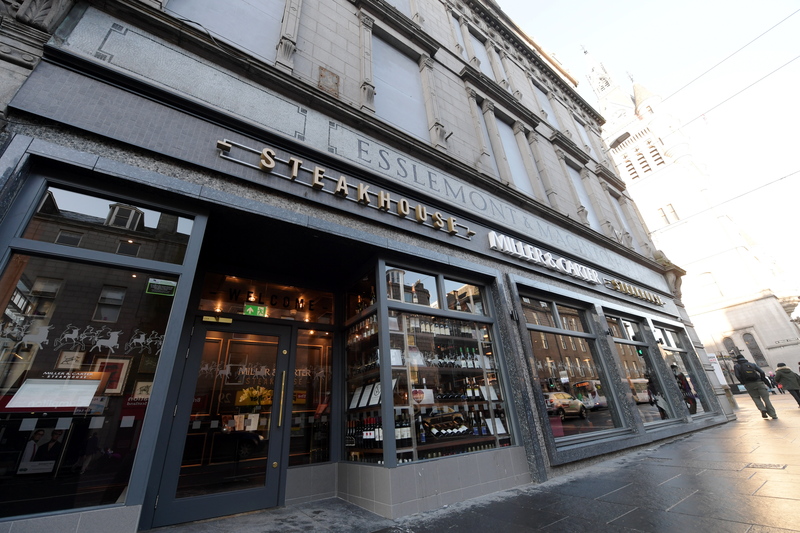 And the McGinty Group, which already runs several pubs and eateries in the city, hopes to breathe new life into part of the Union Street property once home to Esslemont and Macintosh – and latterly a Jamie’s Italian. Its plan is to open a bar and restaurant on the lower floor and a pizzeria above.